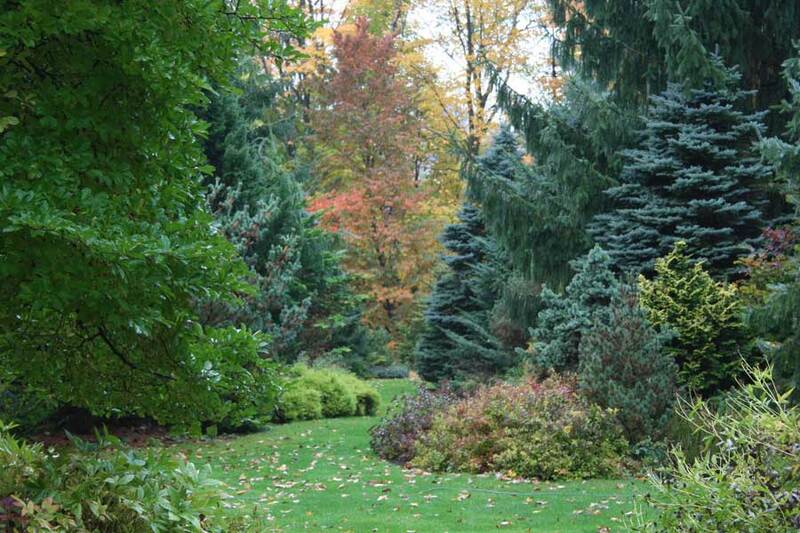 More and more people are opting for living Christmas trees that can later become landscape standouts. There’s something extra special about watching a tree grow, knowing it was at the center of a past holiday. In addition to premium cut trees, Bark & Garden Nursery carries an impressive selection of rare and unusual trees chosen to thrive in our unique climate including lots of fir, cedar, spruce, pine and cypress varieties. A living Christmas tree can include a typically shaped, green-leaved fir or spruce or something completely different, such as a cypress or a Japanese cedar. If space is at a premium you can choose a tall, narrow tree that will later add vertical accent to your garden. Foliage colors can range from blue to bright yellow! The key is to prevent your young conifer from breaking dormancy while “home for the holidays.” Just a few simple steps will ensure your tree’s optimum health in the transition from Christmas tree to longtime landscape specimen. Unlike cut trees, you must gradually transition your living Christmas tree indoors so as not to encourage new growth by immediately subjecting it to warm temperatures. This can be done over three or four days by keeping it in a garage or enclosed porch before moving it inside. Check your tree for insects or anything else you don’t want in your home before bringing it in. Keep it cool: Try to place the tree in the coolest part of the room, away from the heat vents or other heat sources. If it must be placed near a vent, close the vent while your tree is inside. Also, try to place the tree away from the fireplace or woodstove and turn off any decorative tree lights when you go out or don’t really need them on. Place a large saucer or tub under the tree, even if it is in a container. The tree will need to be kept moist, but not wet, while inside. This means you will likely need to water it a few times while it is inside. Do not keep your tree indoors for longer than 7-10 days. Do not apply any fertilizer or nutrients while inside. You do not want to promote any growth on the tree during its dormant period. When ready to remove the tree, use a reverse transition procedure as when you moved it completely outside. The tree can be planted outdoors if temperatures are above freezing or it can be kept in its container (if not allowed to completely dry out) and planted in the spring. However, it’s best to get your tree in the ground as soon as possible.